Admissions for NEET 2019 are closed. Thanks everyone for their interest and support. 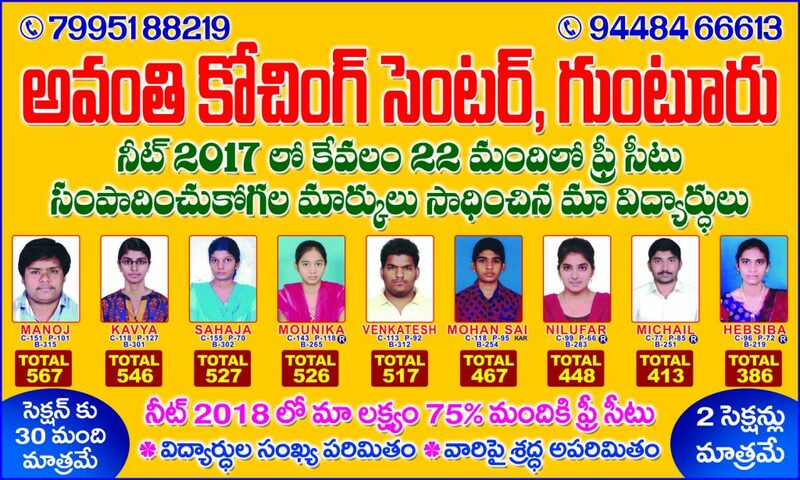 Quick Update on our students’ NEET 2017 Results. 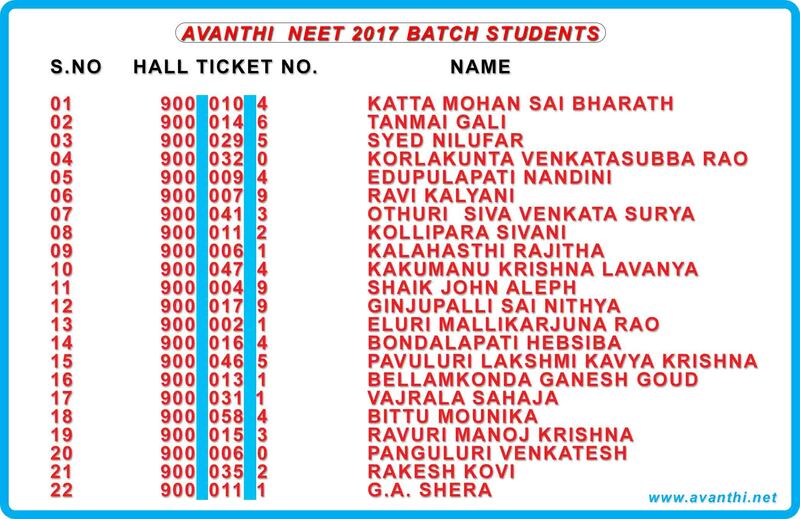 Here is the list of NEET 2017 batch Avanthi students and their hall ticket numbers. 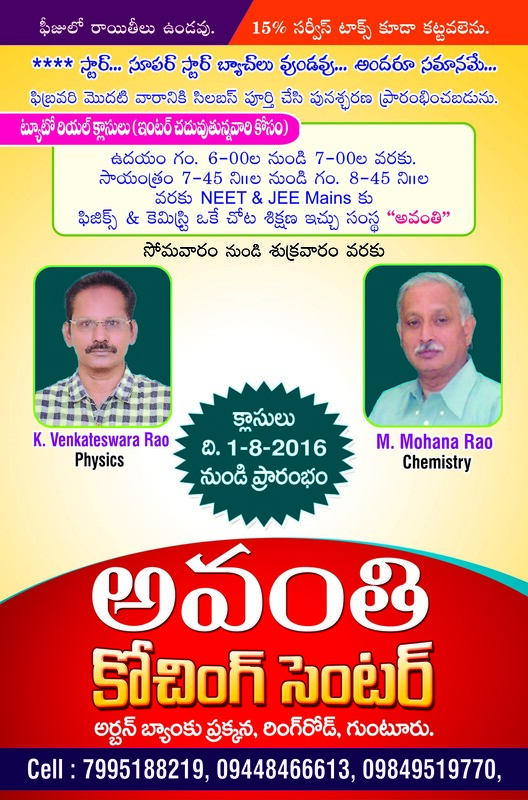 Welcome to Avanthi.Net where you can find News, Videos, Tips and more about Avanthi Educational Services. 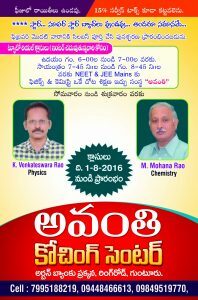 Copyright © 2019 Avanthi Coaching Center.